Fits all 500 /595 Abarths 2008 onwards. This is the valved exhaust which gets louder when you press the sport button. It makes an amazing sound but was too loud for my wife and neighbours so I replaced it with an Akropovic system. Given the size and weight I am afraid this is collection only. Fiat 500 abarth turismo exhaust. Condition new been in storage for a while .has some minor marks on it but in very good condition . 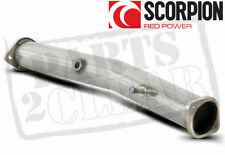 This is a new, Genuine Abarth Record Monza exhaust to fit the 500 Abarth. The Record Monza exhaust system is a tribute to the speed record broken by Carlo Abarth on the famous Italian circuit. • 4 tailpipe Abarth exhaust with "Record Monza" valve and dual mode technology. Part numbers: Abarth BMW 316-318-320 8/1975-10/1978. Parcel weight: 6 kg. SEE PICTURES FOR DETAILS. GOOD CONDITION. IMMACULATE EXHAUST REAR BOX FROM A 68 REG ABARTH TURISMO £488 NEW 1 TINY MARK ON ONE OF THE PIPES. 2017-18 Fiat Abarth 500 595 Standard Back-box Condition is Used. Cash on collection preferred. AS USED IN AUTOBIANCHI A112 58/70hp / FIAT 127 (LANCIA). 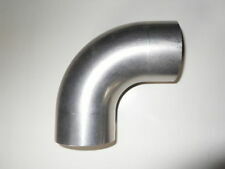 ABARTH 4-2-1 EXHAUST MANIFOLD. IN GOOD CONDITION - AS SEEN. Genuine Fiat 500 595 Abarth Twin Performance Exhaust Back Box Muffler Silencer. Taken off a 2017 595, 5000 miles. Condition is Used. Collect in person only. A complete and genuine 2015 Fiat 500 Abarth 1.4T 312A1000 petrol front exhaust section as pictured. Collection only. This item has been removed from a: 2015 FIAT 500 ABARTH 3 DOOR. Model: 500 Abarth. 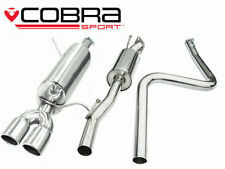 Abarth 500 2.5 Inch Stainless Central Exhaust Inc Resonator For Centre Pipe. Abarth 500 2.5 Inch Stainless Central Exhaust. Condition is Used. Full stainless TIG welded, precision slashed tips. Standard rear diffuser may need altering to accept the tips. Tips alone were £90.